Luciano Pesci, CEO at Emperitas and Professor at the University of Utah brought his A game as the first speaker for the Big Leap Room breakout session. Luciano teaches a variety of economics and statistics classes which explains his heavy emphasis on data and data analysis in his presentations. Luciano emphasized that nowadays everything is connected and that the layperson has no idea how much data currently influences and will influence our lives in the future. 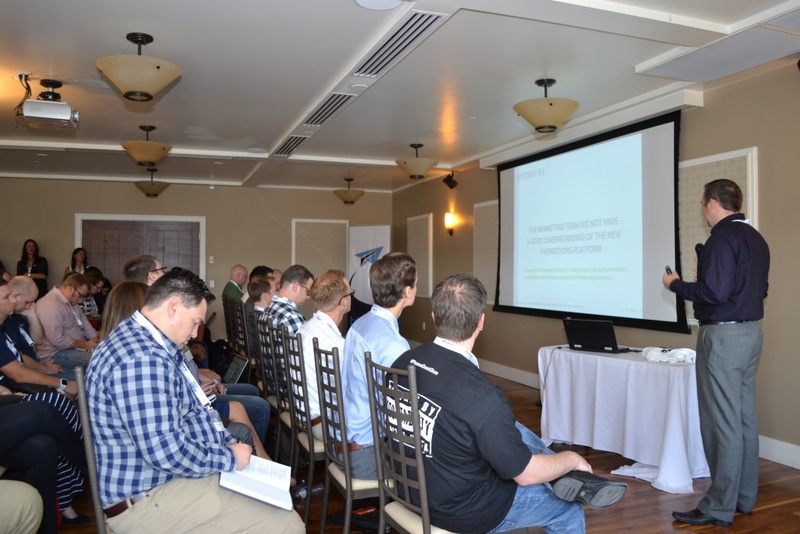 The purpose of his presentation was to show that there is a personal step that can be taken when doing product development and marketing in general; a qualitative step to gathering data that makes it so you don’t have to guess. 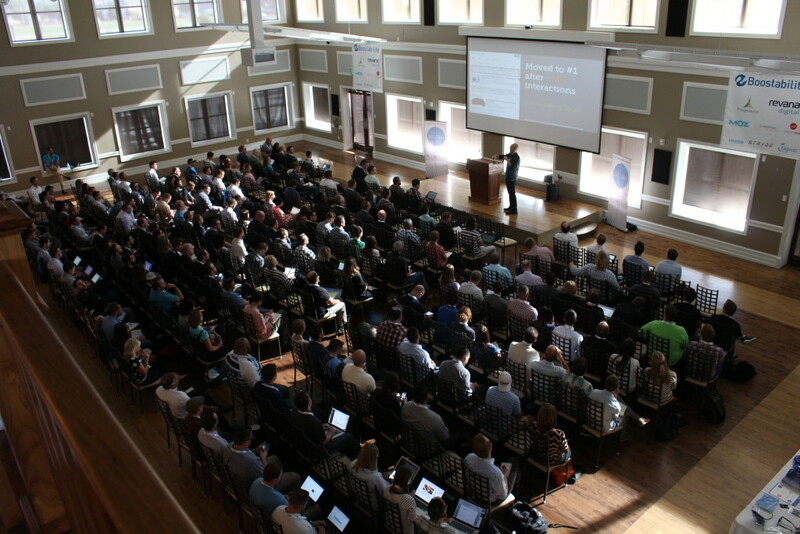 We kicked off the day with Cyrus Shepard, Director of Audience Development at Moz. 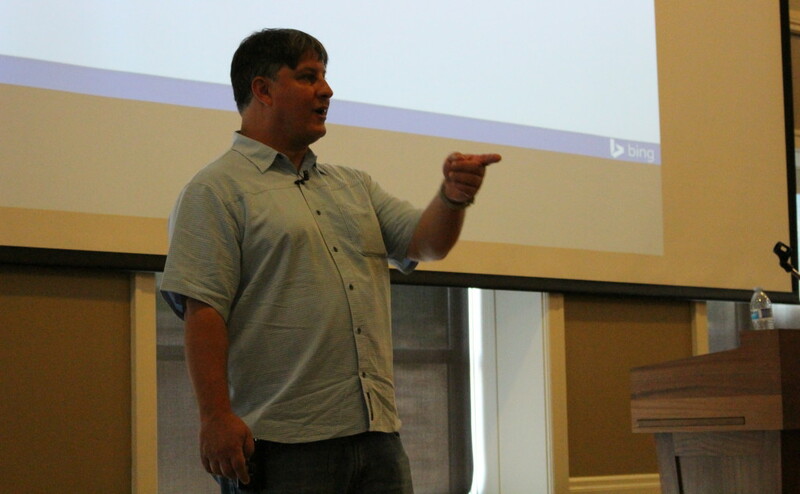 His presentation reminded us all that SEO should always be focused on the end result for our users, not the end result for search engines. Moz has had a pretty good run the last few years. 600% growth in 5 years. This is not that great, anyone can achieve this. 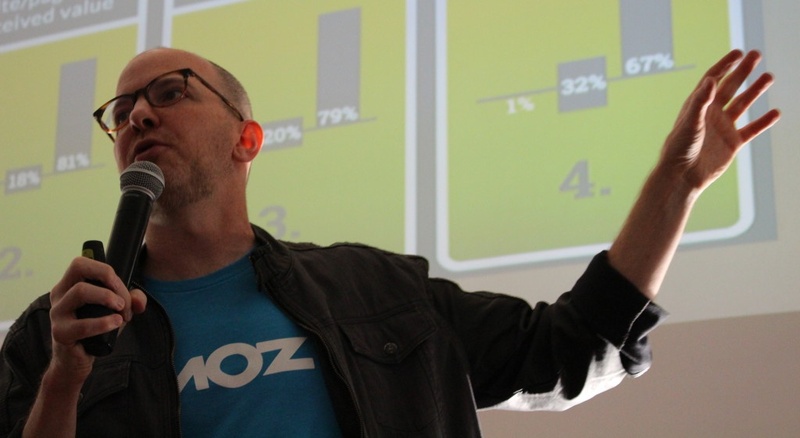 When you say you work at Moz, people think you know things that you don’t know. This is the myth of advanced SEO—that there are tricks out there that will do things that regular SEO can't. Matt Siltala is the president and founder of Avalaunch Media. His presentation was called "The Super Power of Interactive Video," which focused on the creative side of interactive content. 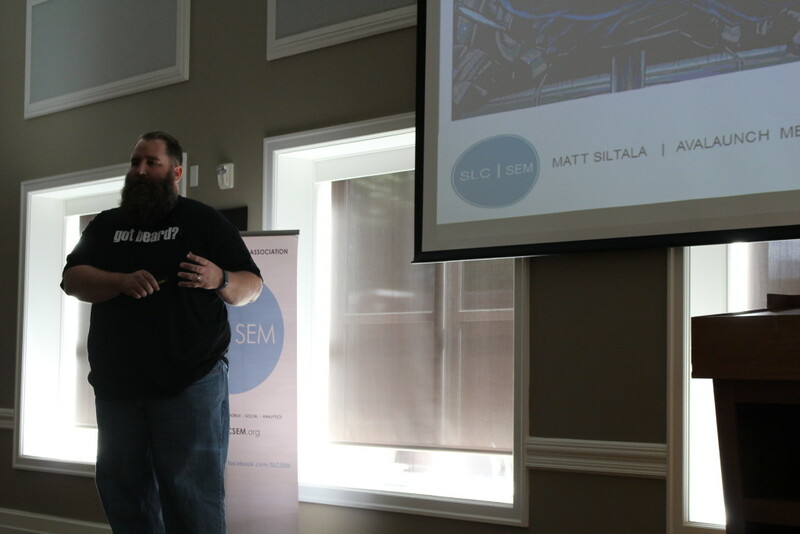 Matt started his presentation with a staggering fact: 183 million Americans watched more than 48 billion videos in January 2014. Director of SEO at MWI. 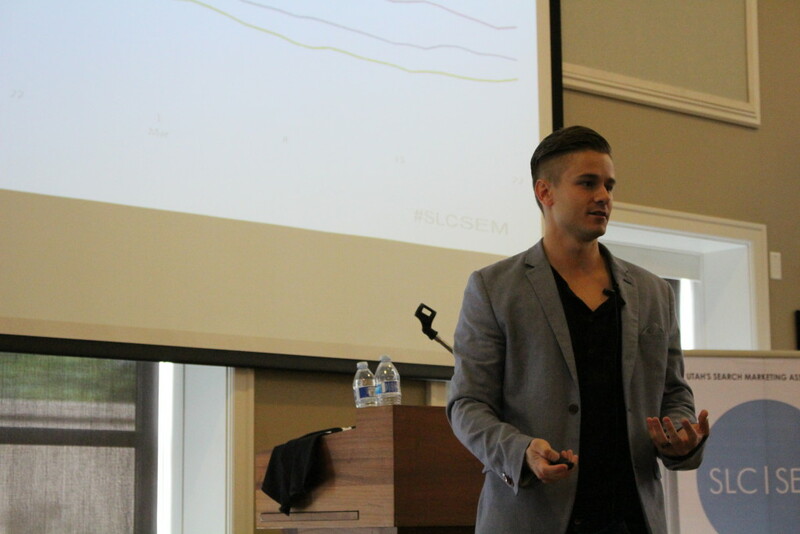 In his presentation, Jordan talked about pushing your content to the next level, the difference between creating and promoting content, and some of the best ways to share content. In his presentation, Jordan spoke about the importance of putting equal time into content creation and content promotion. Too many times content creation efforts fall short by not creating an effective distribution plan. As you develop your strategy for sharing content, it’s important to focus on getting your content in front of influencers. If they enjoy the content, you have a much better chance of them sharing it with their followers. Remember though, when promoting your content, it isn’t about the numbers, it’s about the engagement. 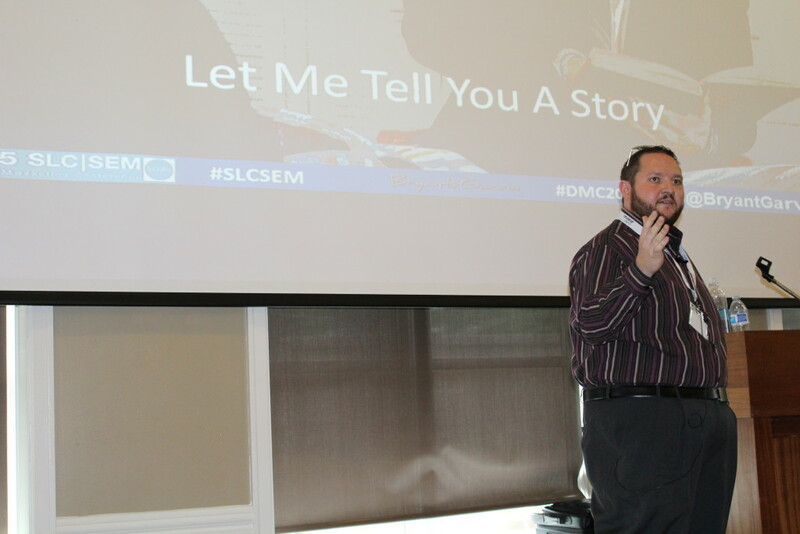 While David Locke isn't your traditional digital marketer, he offered a lively presentation that was definitely an audience favorite. David is the play-by-play radio reporter for the Utah Jazz, as well as the founder of his own daily podcast, Locked On Jazz. In his presentation, he shared how he produces creative content while ignoring the fears of failure. You can have all the tech in the world, but you need content. David is a professional content person that has gone above and beyond his reporting job to create his own fresh content. His job was to call the radio games for the Utah Jazz 90 times a year. His first contract, that was the only thing he did. But in this day and age, he figured it wasn't enough. The core of his digital marketing is his daily podcast. He started off his presentation by saying "I try to fail and fail often." As he put it, if he waited until he know how to use every platform, his opportunity will be gone. 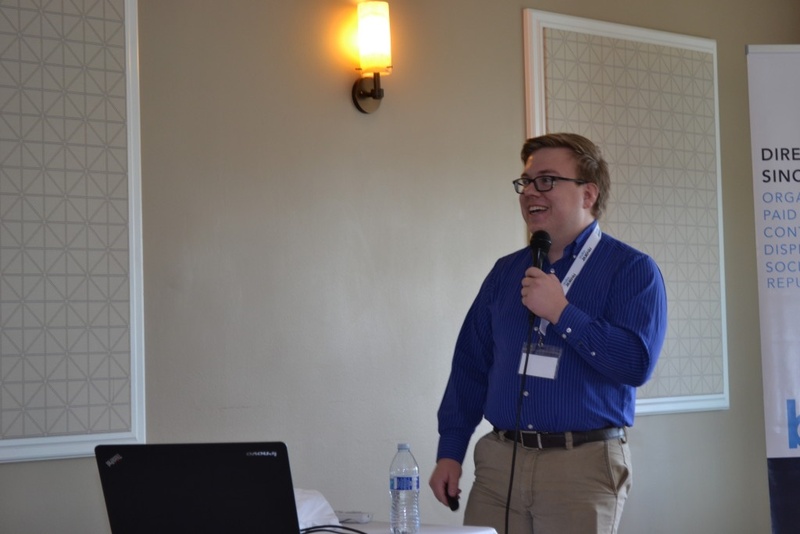 He said about his presentation, "Everything I’m going to show you is raw, has mistakes, is showing a mistake, or is showing something else that everyone thinks is a mistake." But in digital marketing, showing up is far more important than a perfectly polished product. In fact, it's the only way to stay relevant. He shared an example of his wife, who enjoys reading food blogs. Every food blog that she reads produces content daily. The ones that don't get left behind. Your content has to be consistent. People need to know what to expect when they go to your site. 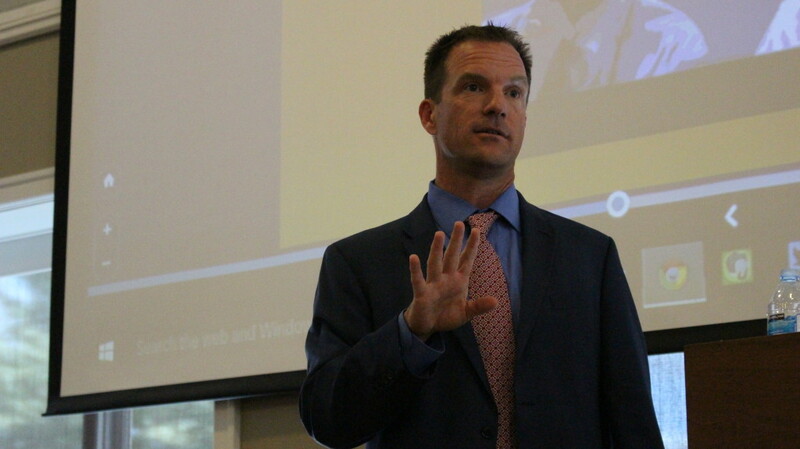 Here are some of David's insights he shared on creating successful content in a digital age. Scott Baird is the CEO & Founder of Griffin Hill. 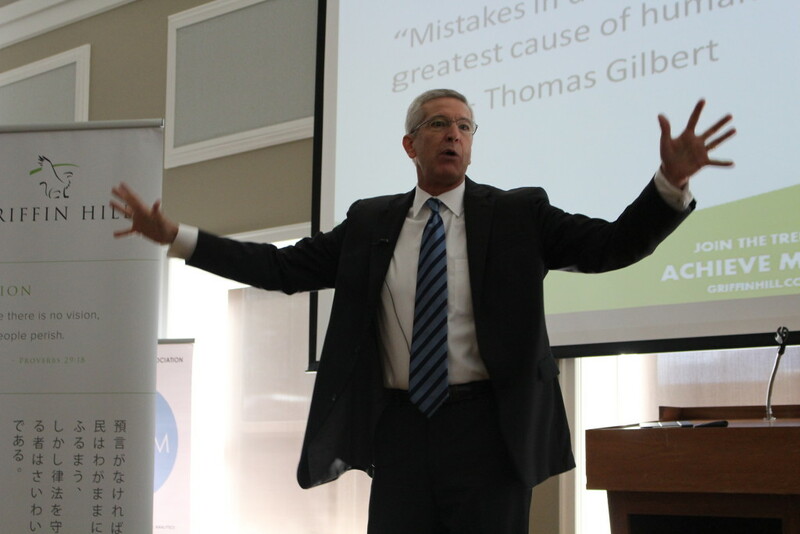 Scott's focus is in human and organizational performance. 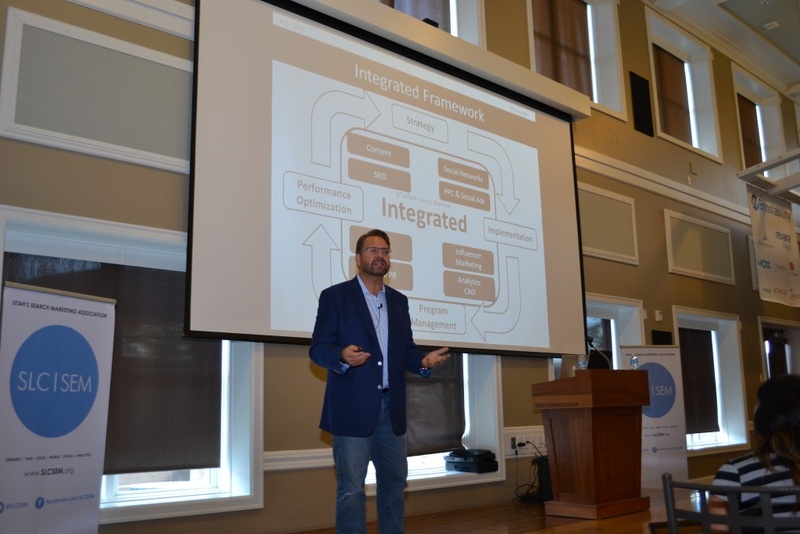 Rather than focusing his presentation on creativity or tools for digital marketers, he instead focused on how to become the most effective digital marketers in the world. As Scott shared, it’s not always the most creative or most intelligent in the top spot, but rather those who are driven to find success. 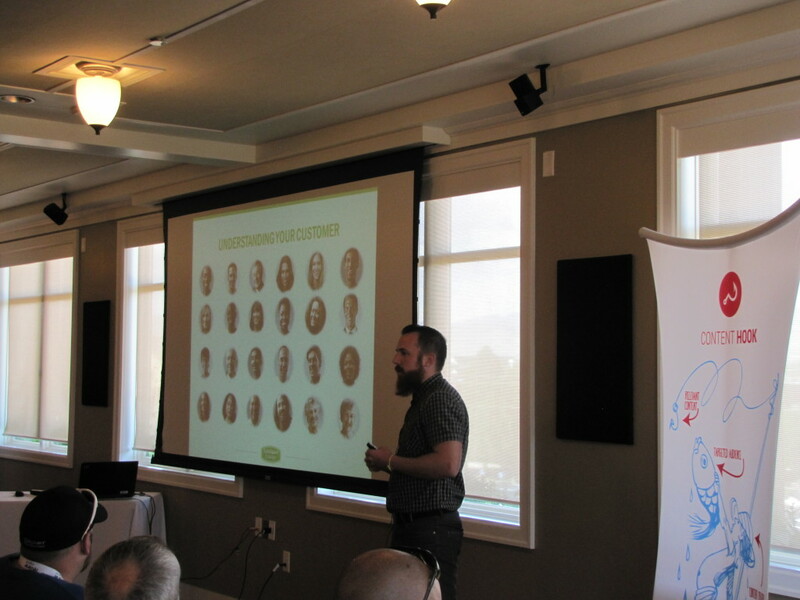 Scott started his presentation with a discussion of the 80/20 rule, created by the Italian economist Vilfredo Pareto. In Italy in the 1700s, 80% of the wealth and privately held land was owned by 20% of the population. Pareto thought this was strange, so he started to do some more research. He then discovered that 20% of the peapods in his garden were responsible for 80% of the yield. It wasn’t until hundreds of years later when management experts turned it into the 80/20 rule. The same rule holds true in marketing. The top 20% of digital marketers control 80% of the efficacy of digital marketing. Scott shared his tips for how to become one of the elite 20%. 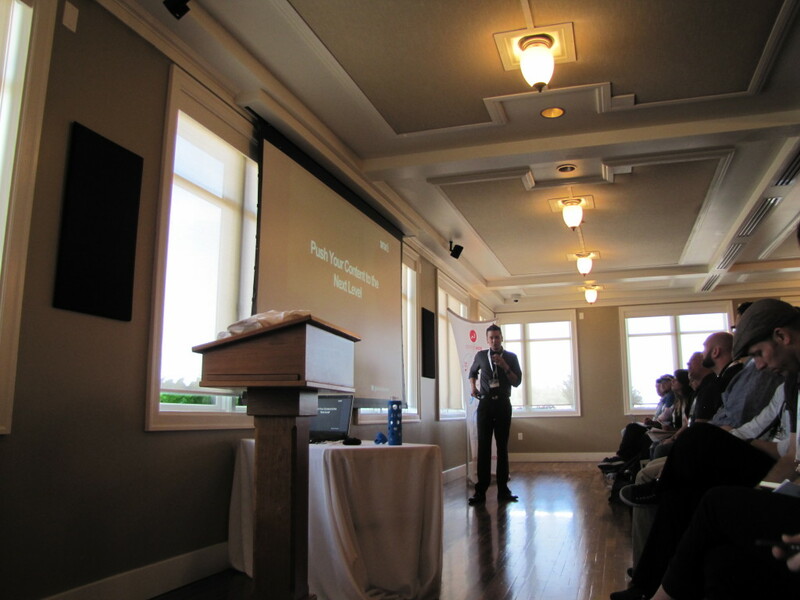 Dustin Nay from Eighty and Eight was the final speaker in the Big Leap room breakout session. He quickly warned us that he is an enormous fan of memes and that his slidedeck would be littered with them...little did we know. Jana Francis, Founder and President of the Steals.com network of websites spoke on entreprenuership in the Big Leap Room. 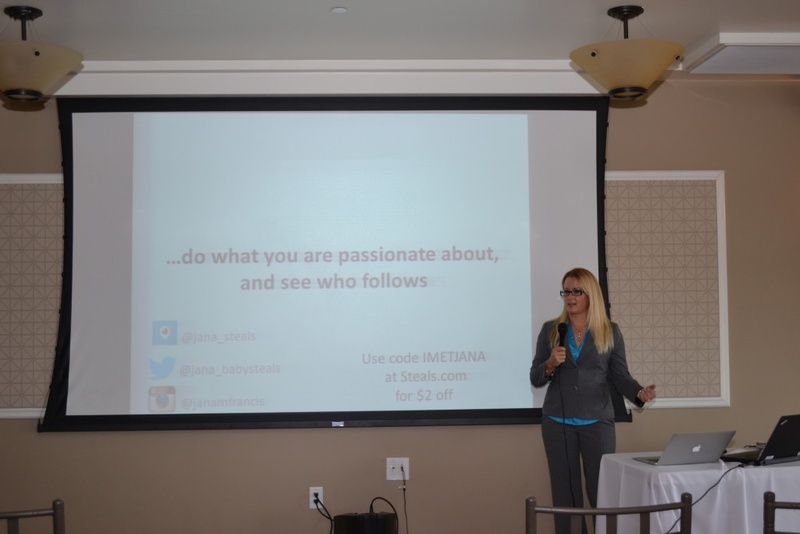 Jana openly admitted that she didn’t do presentations or speak publicly very often but we couldn’t tell. Before founding Steals.com, Jana spent 12 years in Corporate America, specializing in advertising and marketing for tech and internet companies, including a 7 year stint in broadcast media for KSL in Utah. As she concluded maternity leave and prepared to head back to her corporate job, she was sparked with the motivation to succeed doing her own thing. From that motivation, she launched BabySteals.com. It only took her six months to leave here corporate career for good. Rick Galan spoke to a crowded room about what he says is “universally terribly done”--reports. His presentation, titled “Measuring What Matters, Building Effective and Efficient Reporting” focused on the purpose of reports and how reports can be improved. 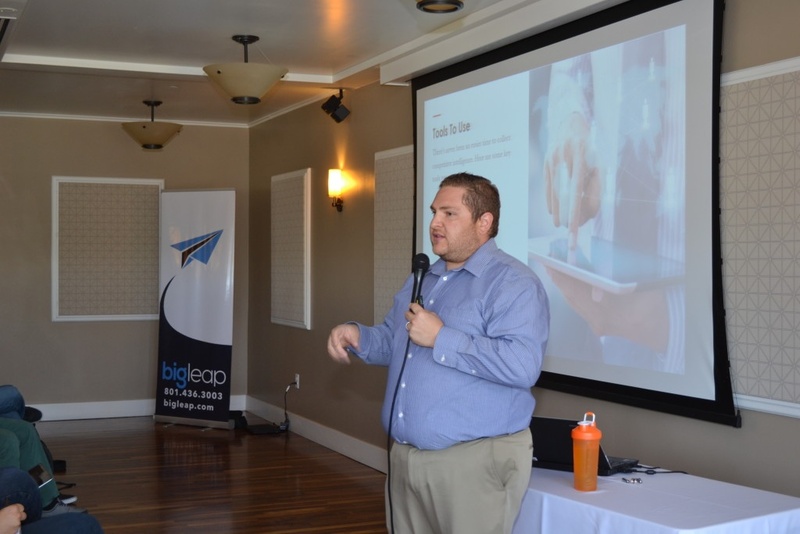 Rick, Director of Digital Marketing at Blendtec, chose to talk about reporting because it “is a transferable skill between roles, jobs or even careers,” and pointed out that reporting is 100% about relationships. Mike Templeman is the founder of Foxtail Marketing and spoke to us about demand gen strategies. Demand gen is marketing that drives awareness and interest in a company’s products and services. Consumers are a lot more aware and savvy and you need certain techniques to get them through the funnel. Most marketers obsess with bottom of the funnel, but you must think full-funnel and create content and strategies for every section. Here are Mike's best tips for each stage of the funnel. 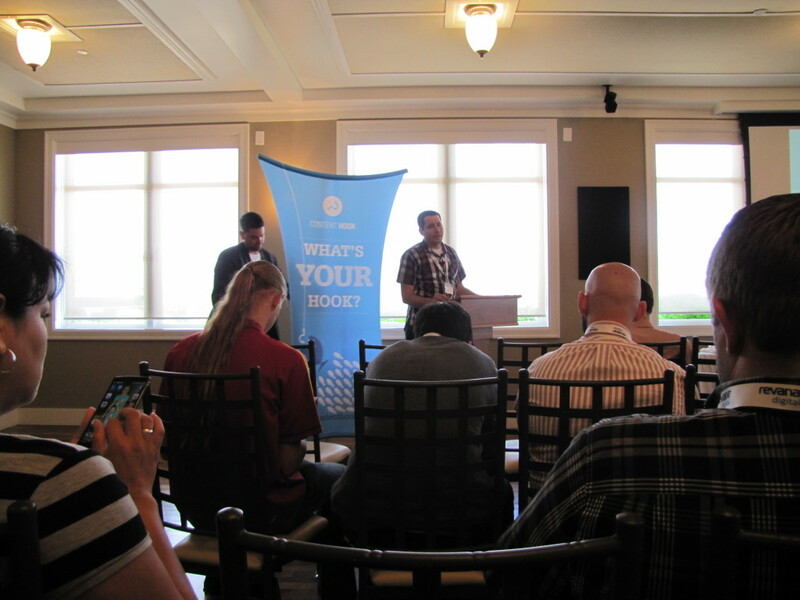 Rob was in charge of transitioning the 10+ year old Deseret Book eCommerce platform to a new one—one from this century. So far in 2015, they have had their hands full of different tasks to get this new platform up and running. Jessie Mamey is the Vice President of Digital Acquisition at Revana Digital. 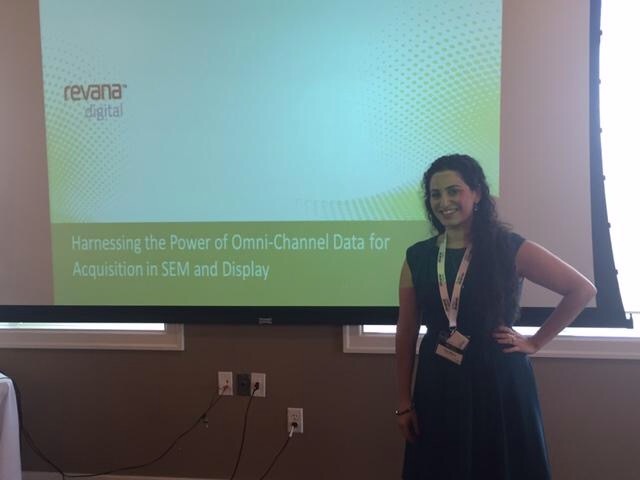 In her presentation she talked about harnessing the power of omni-channel data for acquisition in SEM and display. Jessie spoke about how the customer experience has changed over the years, but it is still all about the customer. As you look at the customer journey, it is important to define your objective and understand what the customer is interested in. Focus on answering the questions they have (even ones they may not have asked yet). What you know about your customer is important only if you know how to turn that insight into action. Through gathering data about your customers, you can focus your vision on what you are trying to accomplish, decide what really matters, and which direction to go in to drive performance and better serve the customer. Targeted data can also help businesses identify high, mid, and low segments. This allows you to make better decisions about where to spend your budget and to create custom content tailored to specific customer bases. In the end, as you move forward in developing a strong customer experience, you need to clarify your objectives, ask questions which result in action, centralize data and develop feedback loops. Turn Clicks Into Customers. He has a background in SEO, PR, and marketing. Duane spoke to us about the quickly changing ways that we interact with data and machines, and how we as marketers should pay attention. Optimize. 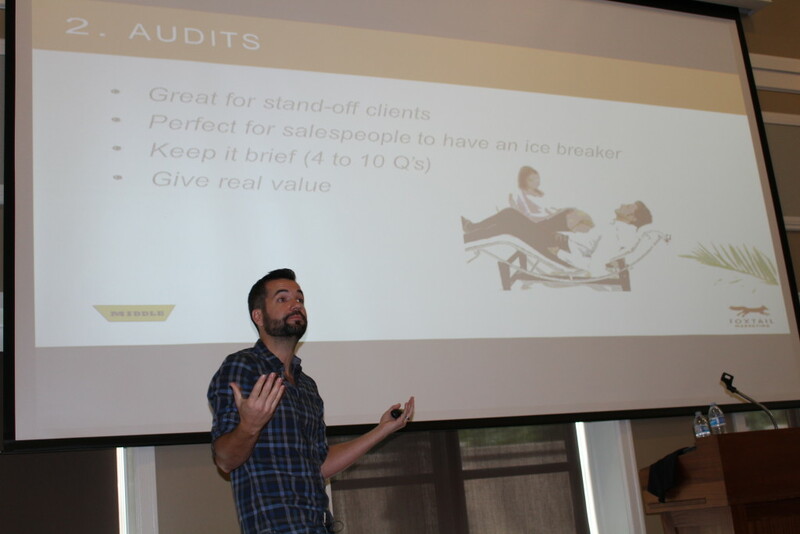 Lee spoke to us on being the best answer through integrated marketing campaigns. Instead of optimizing to search, Lee has decided to be accountable to experiences. Things have become a lot more complex, and there’s a lot more data to consider than ever before. This is confusing not just for marketers, but also for customers. Here are Lee's best tips for creating great experiences online.